Ok is anyone else finding it a bit more challenging to keep the kids busy now that it's almost the end of July? My son has been to camp, been swimming almost everyday, but the one thing we haven't done a lot of is good ol' crafts! 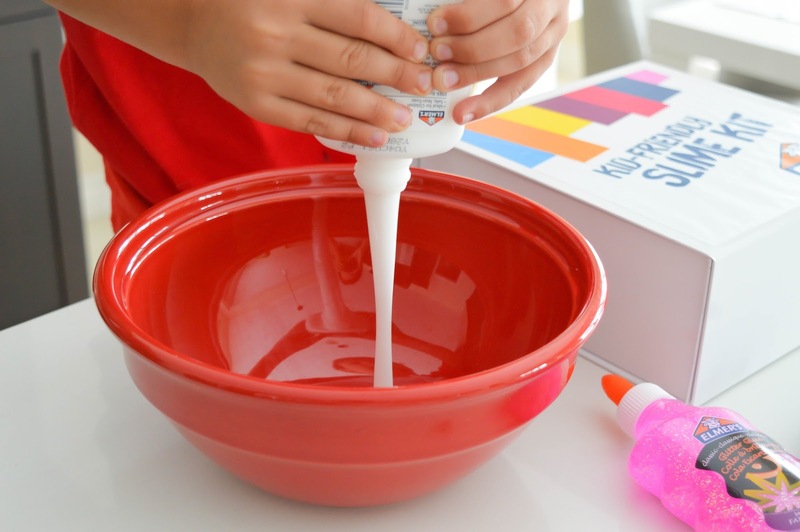 Today, I am sharing a quick fun craft idea that you can do easily at home using Elmer's liquid school glue. 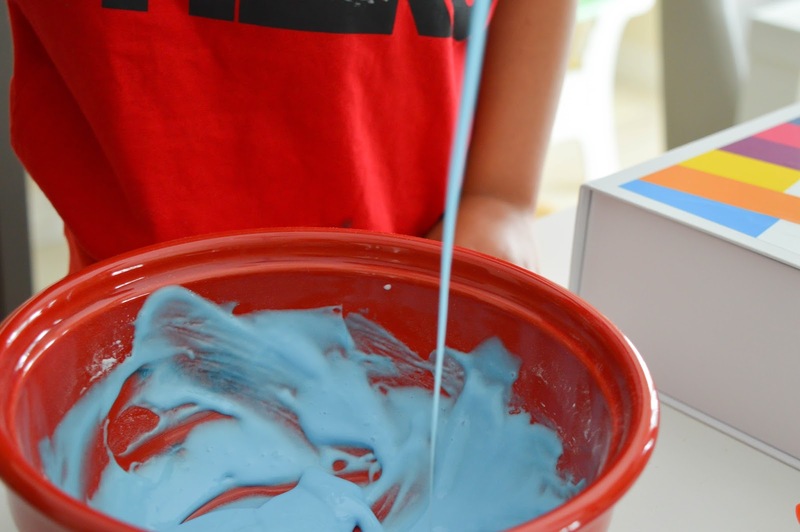 Using the Elmer's glue I am going to show you how to make a kid safe version of slime. 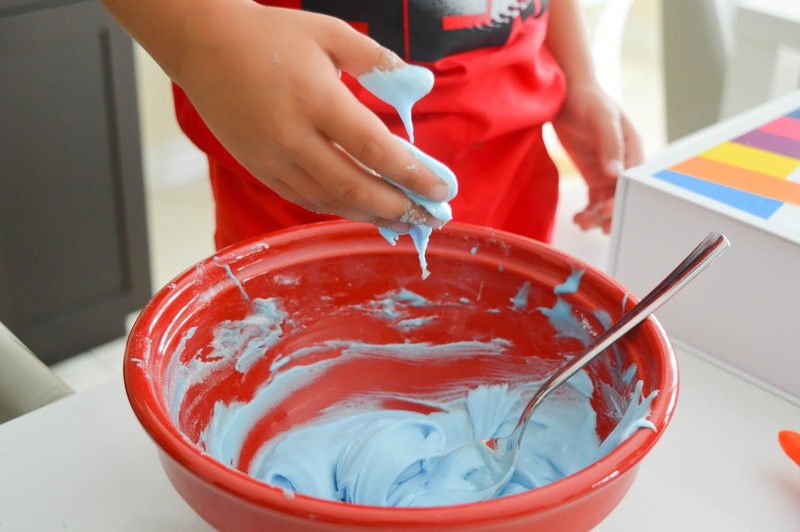 For a long time kids slime was made with Borax, until this laundry soap like ingredient starting to cause burning and rashes on some children. 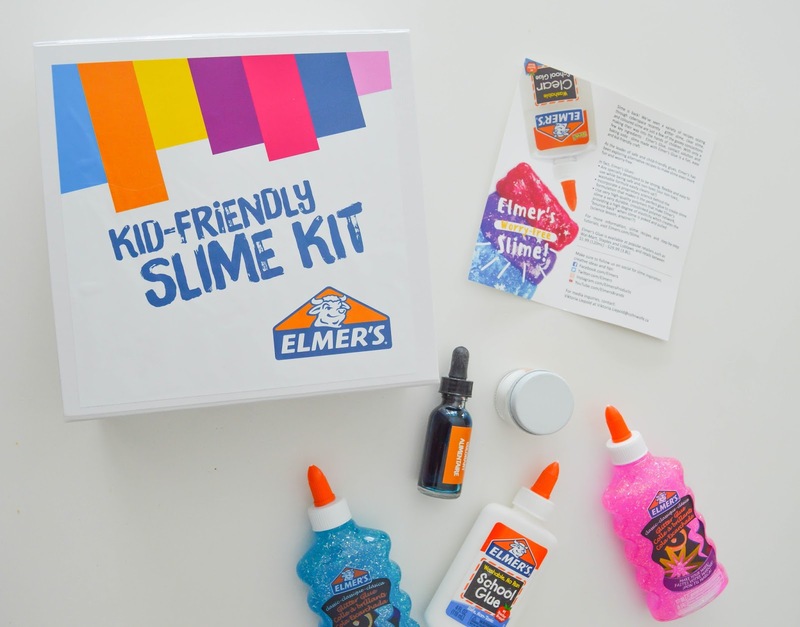 Thankfully, Elmer's has an easy slime solution that will keep the children, and the parents happy. 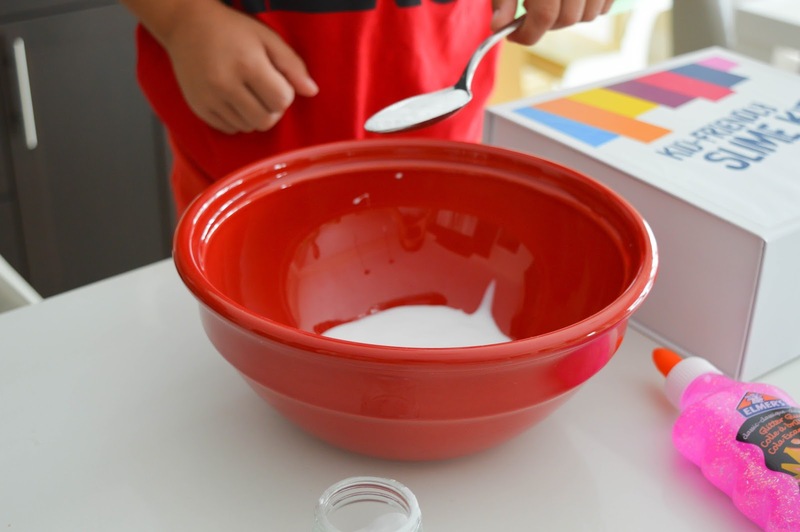 Pour the bottle of Elmer's liquid glue into a bowl, and add a tablespoon of baking soda. Stir so the ingredients are well mixed. 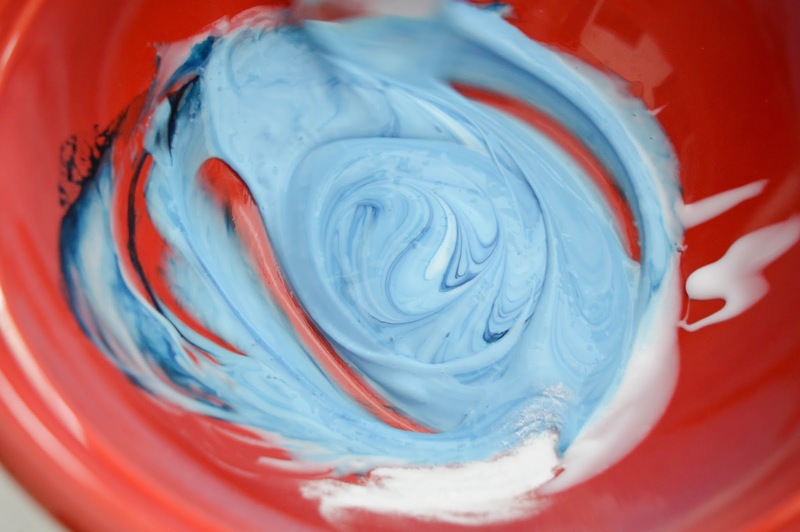 Add a few drops of food colouring, and the contact lens solution. 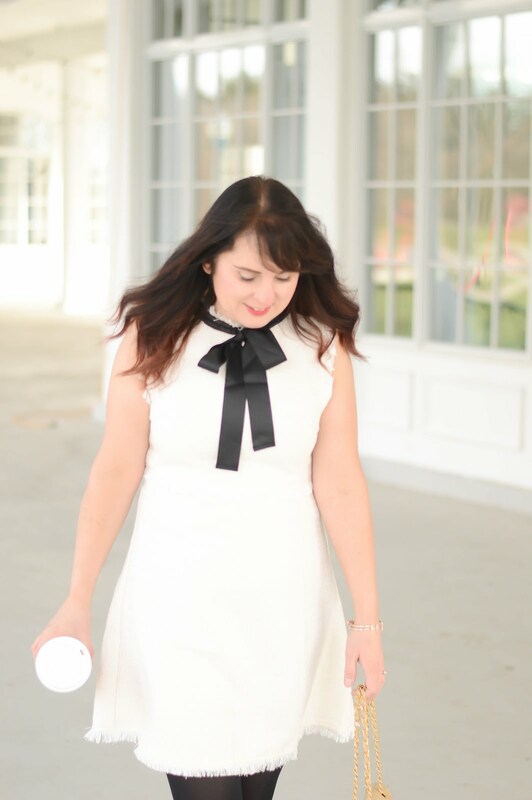 The contact lens solution is the magic adhesive ingredient. 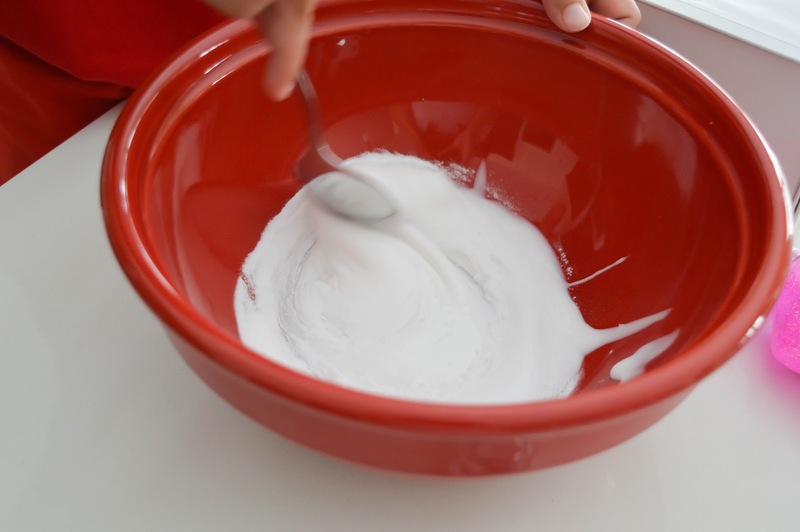 I then added a bit more baking soda, and my son gave it all a great stir. 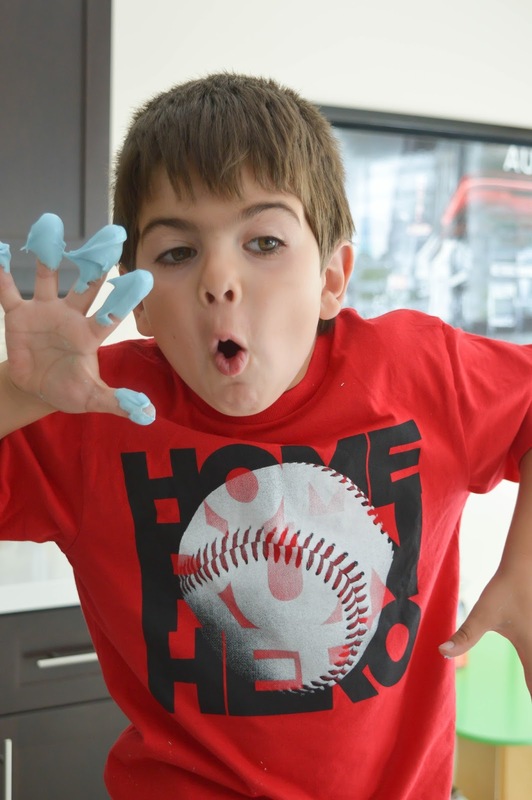 He had so much fun making the slime. 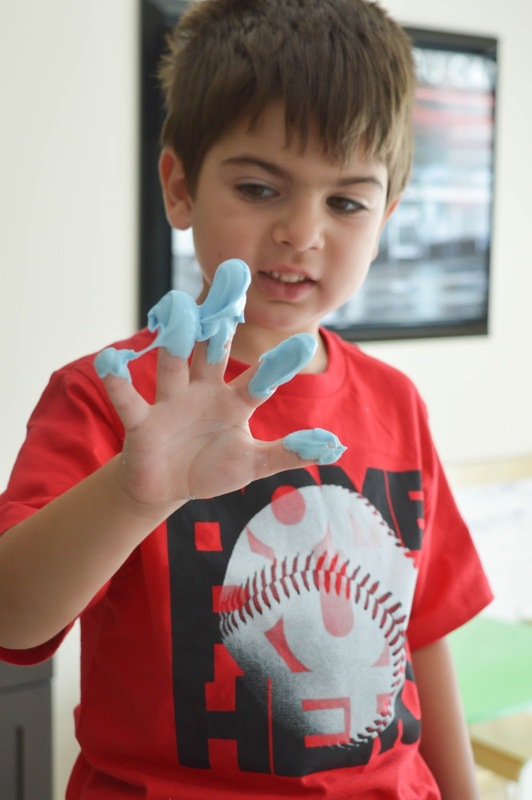 The slime wasn't too sticky, and it was the perfect thickness for him to play with. He used it for almost an hour, watching it spread out, and then pop back into form. 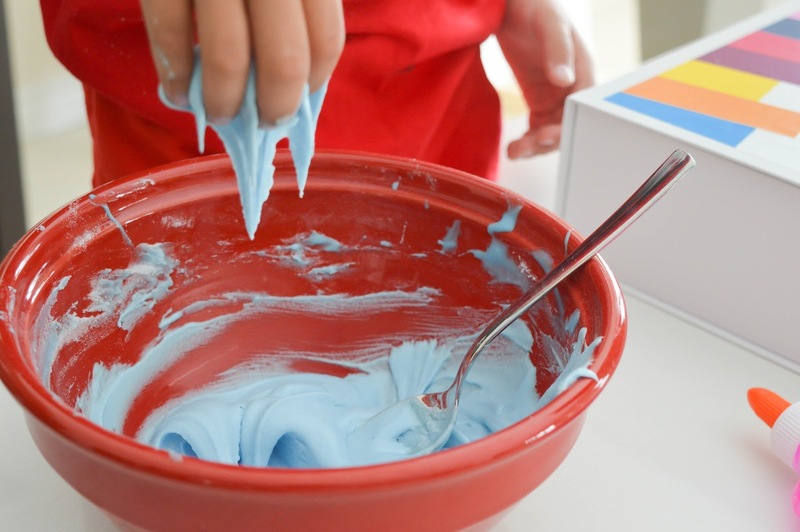 Now Charlie wants to make a glitter glue version, so stay tuned. 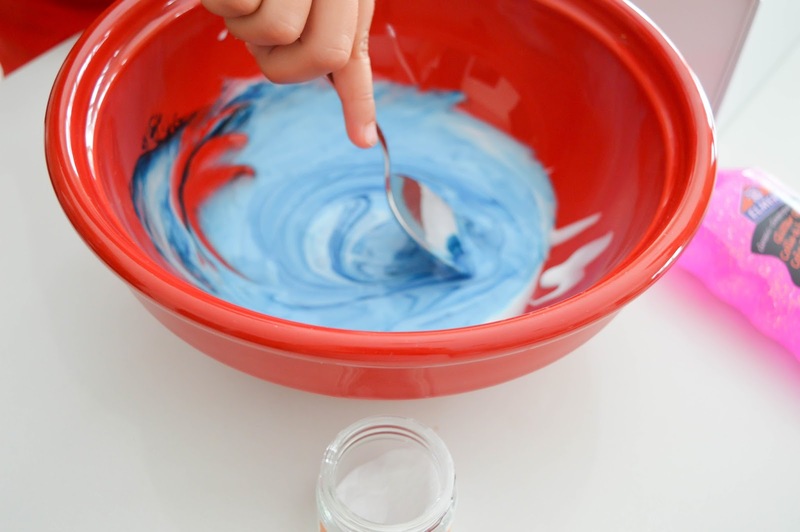 Make sure you head to the Elmer's site for more fun ideas!